When your performance credits include the likes of Roy Ayers, Ron Carter, Bobbie Humphrey, Ronnie Laws, Maysa and Eryka Badu, great things are expected of you. 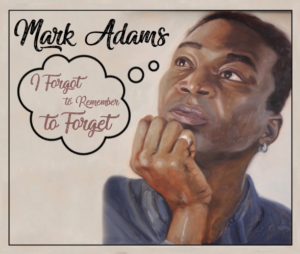 Pianist/Keyboardist Mark Adams lives up to those expectations with the release of his new CD “I Forgot To Remember To Forget”, featuring Ron Carter and Roy Ayers, as well as a live horn section. This record is produced by British Producer Trevor P. Allen. The new CD “I Forgot To Remember To Forget” pushes the boundaries of Contemporary Jazz, with songs like “Woke”, “Hindsight” and “Latin Mi”, which appeals to any Jazz Lover, whether your taste is Smooth Jazz or Traditional Jazz. The urban seasoned vocal songs, “I Forgot To Remember to Forget”, featuring Sophia Nicole and written by Trevor P. Allen and “Here We Go Again featuring Jonathan Quash adds a nice flavor to the entire make-up of this CD. The song “Fight The Good Fight” written by Mark Adams and Young Wess who also raps on this song providing an intelligent and inspirational spoken word that you will want to hear over and over. Let us not forget the song “Blues for DP” written by Ron Carter, who is also featured on this piece. Adams wrote a song “Marleigh” that features another legend Roy Ayers. Adams take on the Dave Brubeck standard “In Your Own Sweet Way” is simply breath taking. Mark has previously recorded 5 CD’s(“Asceticism”, “Feel The Groove”, “Embellishments”, “Love&Dance”, “Conversations”) under his name with “I Forgot To Remember To Forget” his most exciting to date. Artwork and painted image done by artist Nina Buxenbaum , horn arrangements by Gerald Thomas and produced by Trevor P. Allen. Mark chooses not to label his music anymore and decided to leave the labeling up to the listeners. This is a CD not to Forget!